A much harder and heavier album than The Ballad of John Henry, the blues really shines on this album. The B.B. King duet is one of the highlights. “When the Fire Hits the Sea” is another. This was a very interesting album incorporating sounds from Greece into the mix. Bonamassa does a great job of incorporating classic blues/rock numbers along with his own original songs to bring everyone to the table and introduce us all to 21st century blues with feeling. Power guitar and drums open this wild thumping madness. As Bonamassa warns in the digital cover book, “please play it loud.” This is one of those songs to play loud if you want the full effect. The riveting guitar licks are cool. The drummer doesn’t miss a beat. When the organ kicks in, you get a full-on real party. The power riffs and solos are blistering. This guy knows how to kick off an album! We get heavy blasting, bass sounding guitar with drums along for the climb. Again, play this one loud for best results. The windows of the room should be shaking and your foot tapping. This is power driving guitar with those cool keys and drums smashing the wind sideways. Bonamassa’s vocals, like they were on the last song are full-on loud. The guitar licks are all signature and original. Thumping king snake, boogie woogie opens this one. “I ain’t no candle that can be blown out in the wind / I know suffering, that’s the game I’m in.” This is a no holds barred introduction to Bonamassa through his lyrics. “I’m gonna lay it on you child / bring it home to me.” Then the earth shakes with the power of the drums and that blistering blues guitar, still set to that boogie woogie beat. This is the best song on the album. Clarinet, organ, and keys open this one along with the drums, and bouzouki. It’s a nice change of pace after the first three songs. It’s also a perfect integration of local talent and instruments from the locale of the recording at Black Rock Studios in Greece. Bonamassa’s piercing guitar just rocks the air with the support of the drums and keys. All of the various instruments and artists make this the most interesting song on the album. There is cool guitar plucking and then the bouzouki kicks in, giving that special sound and feeling to this often recorded song. Bonamassa does an excellent job of singing this classic. The drums never miss a beat and help set the dirge–like tone well. The instrumentation on this song also separates it from the rest of the album, giving it that unique signature. Leonard Cohen would be proud. A rocking blues number, this opens with guitar and drums. It’s based on that Otis Rush, 50s style of blues guitar. This is a duet with one of Bonamassa’s blues heroes, B.B. King. It’s a Willie Nelson song that both artists enjoy singing. Bonamassa does a great job matching licks and vocals with King. A lot of fun was obviously had by all. Play it loud. A Joe Bonamassa original song, roaring guitar opens this as Bonamassa slides that blues guitar like Jimmy Page did in Led Zeppelin. This is a cool slow blues song full of experimental guitar licks and power drums. The keys electrify the background soundscape so well. Bonamassa just rips what’s left with those signature riffs. Steve Miller covers this song as an extra track on his new album, and I have to admit I like his version better than Bonamassa’s. But Bonamassa does a great job hanging onto the original feel of this classic from James Clark. We get guitar and soft drums for this Joe Bonamassa original. The picking is simply excellent. 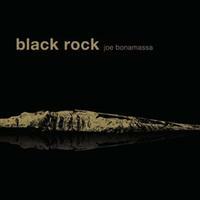 Strings and brass blend well with Bonamassa’s blues guitar picking. This is made up of more cool blues acoustic combined with cool keys and those jam – packed drums. It’s another Bonamassa original with memories of the past intertwined with Bonamassa’s signature guitar licks. This brings back memories of Van Halen’s “Ice Cream Man” (originally written by John Brim). It has that early 20th century sound to it. The whistling in the background only adds to the effect. Bonamassa sings and picks his way through this one. You can tell Bonamassa and the crew are having a good time with this one as he gets plenty of help. Everyone seems to join in on the fun. It’s a great way to close another chapter of Joe Bonamassa’s career.